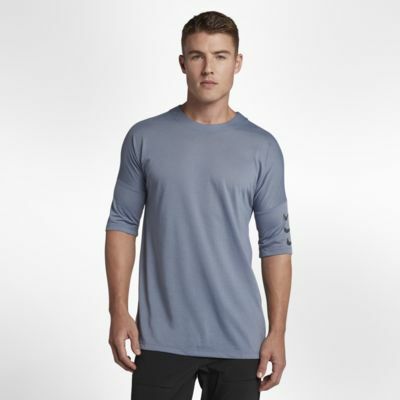 The Nike Rise 365 Half-Sleeve Top is made from an ultra-lightweight mesh fabric that helps keep you cool. The unique half-sleeve design extends over your bicep to help keep your arms warm, while still allowing them to move freely. Nike Breathe fabric helps keep you cool on your run. It&apos;s made from lightweight mesh that allows air to pass through to help keep you cool.